Kristin Foss is a Norwegian human rights activist. In the summer of 2018 she travelled to Palestine to join the ISM (International Solidarity Movement). She took part in the weekly demonstrations in Kfar Qaddoum where the villagers protest as a result of them being prohibited from using the main road to Nablus. 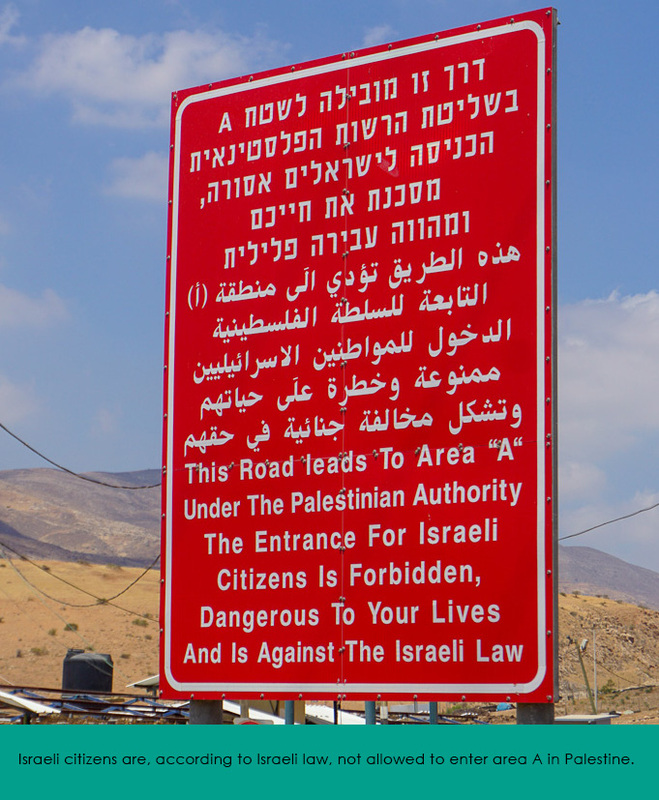 They are barred from using the road as it now serves the settlement of Kedumim. On the 18th of August Kristin was shot in the abdomen and on the 24th of August she was shot with a steel rubber coated bullet in the foot during these demonstrations. It should be noted that those same bullets have been used against children and those bullets can cause irreparable damage to the face and particularly the eyes. Please could you tell us about what you plan to do going forward and about your criminal court case against Israel? At the moment I am trying to take things forward, I am corresponding with the Norwegian foreign department in order to tell them about what happened to me and I am trying to get them to take action, but they have ignored it completely more or less. I have also been asked to give a statement to the Israeli military police, and I will be travelling to Israel at the end of the month (November) to do so. After I returned from Palestine I felt strangely ok about everything probably because I knew that there was a lot going on in Norway now in response to what had happened to me. Unfortunately, after I had a meeting with the Norwegian Foreign department I felt disillusioned and depressed because I was being treated a little bit like a Palestinian and that people just don’t care basically. Well I believe that every person in Gaza protesting at the fence, the Palestinians fighting to get water in the Jordan valley, all the Palestinians struggling for their freedom, they are all human rights defenders. I am one, along with the Norwegians who were on a ship attempting to break the Gaza blockade three weeks before I got shot. The ship was boarded by the IDF (Israeli Defense Force) in International waters, there was a threat to kill the captain, those on board were beaten up, they were jailed and finally deported. There’s been no reaction from Norwegian government whatsoever. So, while they are so proud of their resolution on defending human rights defenders, the truth is that they do nothing. The Norwegian government sent a letter to Israel about how I was shot twice. There was no response and they just accepted that. They informed me that it’s quite common for Israel. After I was shot the Norwegian government asked me if I needed any medical assistance. I informed them that I had received treatment from the Palestinian Red Crescent, but I wanted help taking the matter further with the Israeli government. The response was that they could not be helpful with this however they did ask me to send a detailed video of what happened, so I did. They never replied, nothing. Then I was shot again and so fourteen days later I sent a second letter, again I did not get a reply. When I returned to Norway I wrote a third letter demanding a meeting with them and I think I only got it because the activists trying to break the Gaza blockade had had a meeting the week before and had talked about me. When I met them, they told me that they had not received my letter despite the fact it was published as an open letter here in a major newspaper in Norway. I had sent it to three email addresses, but they said they had not seen it before my meeting with them. I think they got the second letter, but they just didn’t bother replying to it. My government wants people like me just to go away so they don’t have to take a public stand against Israel. It’s just annoying for them that we went there and did this. Yesh Din is an Israeli human rights organisation that helps Palestinians bring their cases to court. They have agreed to help me. My lawyer Michael Sfard has also defended other human rights defenders who have been injured. At the moment the legal teams are in the process of taking witness statements. I know there is at least one Israeli human rights activist who witnessed the shooting and will be testifying for me. They are interrogating the soldiers and checking if they had body cameras. What did you see and do while you were there? I went to the village of Deir Abu Ma’shall and we took part in a protest which was demanding the corpses of relatives/loved ones back. I didn’t know this, but if a Palestinian dies in prison Israel will keep the corpse for the duration of their sentence. For example, if a person is sentenced to seven years and dies after two years the body will be kept for the remaining five years of the sentence. So, I spent the whole day with mothers and fathers and sons and daughters who wanted the bodies of their loved ones which were being held somewhere in Israel. I spent a lot of time in Khan Al Ahmar which is about to be demolished. That never became dramatic because the army never came. I got a chance to meet a lot of people. One day there was a Zionist group that came a day before Khan Al Ahmar was due to be demolished about 30 or 40 of them in their twenties. There were shouting in our faces “Anti-Semites” among other things. I think they were just trying to provoke a reaction and gloat. It felt quite traumatic. I was outside Hebron and I got arrested. It was my second day with ISM. I went with some people from the small village of Bani Na’im up to their land. Some Zionists had decided to set up an outpost beside an already existing settlement, so they just moved in with a trailer car and decided to plough the villagers land. We were a group of thirty Palestinians, some Israeli activists and some American Jews. We just wanted to talk to the settlers. The Palestinians had already attempted to do so the day before, but the army had arrived and arrested them. This is why they asked for us to accompany them. We were able to reach the settlers but five minutes later the army came. Then it became mayhem. They were violent against the American Jews and the Israeli activists in particular. I was arrested along with two Palestinians, two American Jews and two Israeli activists. It was six hours before they released us. After that they gave us one hour to leave the West Bank and told me I was not allowed back for 15 days. I spent some time up in the Northern Jordan Valley. The Palestinians in this area are suffering immensely because Israel has diverted all the natural water resources to the illegal settlements and their farms. The Israeli government are continuously destroying the Palestinian water pipes to cut off their water supply. So, for the Palestinians it is an eternal struggle to have enough water for their crops. Some Palestinians are living in caves because the Israeli government keeps tearing their homes down. Most of that area has been declared a military zone. Once an area is declared a military zone then all the existing buildings are torn down. I met one man who has had his home torn down over thirty times, so he now lives in a tent. So, my friend and I went and slept there because the next morning the army was going to come and tear down the Palestinian farmers’ greenhouses. However, they did not come but it was scary sleeping there thinking the next morning I could be woken up by the IDF. I spent most of my time in Kfar Qaddum the same place I was shot. I had participated in five or six demonstrations before I was shot the first time. I was able to get to know the villagers a bit. This is what ISM members do. They stay in local people’s homes. They go to villages or houses which are about to be demolished. 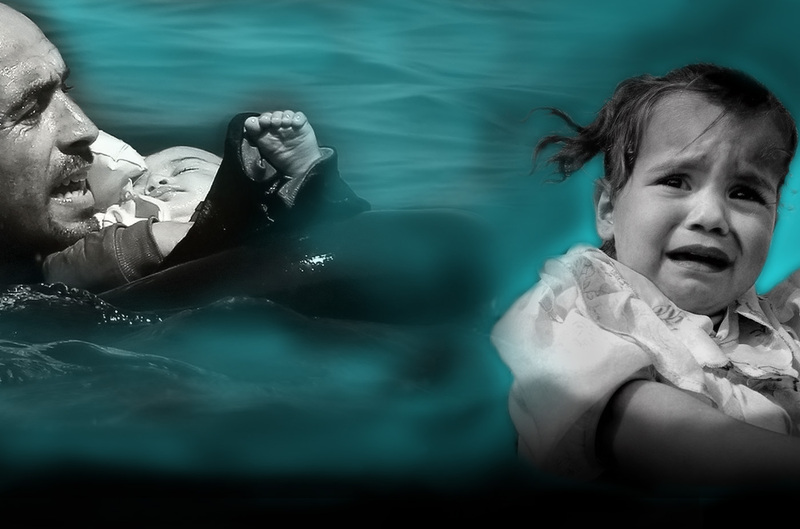 Every day we witnessed the humiliation of the indigenous Palestinians and human rights abuses. We were there as a protective presence, but I guess I needed a protective presence myself as it turned out. I am lucky I wasn’t killed and I am thankful for that. After being shot the first time why did you continue? Why did you not return to Norway? I think immediately after they shot me I was high on adrenaline and I was very angry. I was in Kfar Qaddoum and there this happens to people all the time. I was shocked that it happened to me and the pain was excruciating but at the same time I knew it was not an out of the ordinary occurrence. Then that night a villager from Kafr Qaddoum took us to see Issa who was one of the first people to join the ISM. He was in a wheel chair. He was shot by an exploding bullet in the back seventeen years ago. I went to meet him straight after I was shot, he was a lovely, calm, dignified Palestinian man my own age. He was in a wheel chair because he was shot by a real bullet and that put things in perspective for me. After that it didn’t occur to me to leave, I was even angrier, and I wanted to continue. It was already personal, but it got even more personal. I also thought I was sure to get a lot of media coverage which would allow me to have my voice heard and tell the world what I saw happening. The Norwegian press is interested if a Norwegian woman is shot but they don’t care if hundreds of Palestinians are shot. The next day we accompanied a Palestinian Farmer to his farm land which is inside the settlement of Ariel. To reach his land he must go through an Israeli check point. The day before there was a new officer in charge there and when the farmer’s son had tried to reach the family farm land he was beaten up with a machine gun and ended up in hospital. He needed protection so, we, some Palestinians along with members of the EAPPI (Ecumenical Accompaniment Program in Palestine and Israel) and Israeli activists walked him to his land. With our help he was able to attend to his crops and return home. Strangely this was the day after I was shot but I didn’t feel any more scared doing this then before being shot. Maybe a little bit but really not too much. This made me decide to return to Kfar Qaddoum the following Friday to participate in the demonstration. I was very nervous, and I decided to stay right at the back of the demonstration. I felt it would have been demotivating for the villagers if after having come along a couple times I stopped coming because I was shot. After all they are frequently shot too. It would not have shown solidarity. Despite having been right at the back I was shot a second time on the 24th of August. After being shot the second time I was scared. I didn’t want to go back to Norway because I wanted to be surrounded by people who understood, who had had similar experiences to myself. I also felt that I would be able to speak to more media outlets in Palestine than in Norway. I wasn’t in a strong enough mental state to go to any protests or anything else after that. I was reading the newspaper commentaries about me and it was chilling for me when I read comments like ‘third time lucky’. Also, if I was going to go again and got shot a third-time people would think I was a crazy person seeking out danger. I am not. I was just living the life of a normal Palestinian who is fighting for their human rights. It’s nothing special.